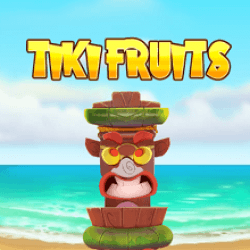 Tiki Fruits slot is a brand new slot from Red Tiger Gaming that’s perfect for all those enjoying the hot Summer this year. 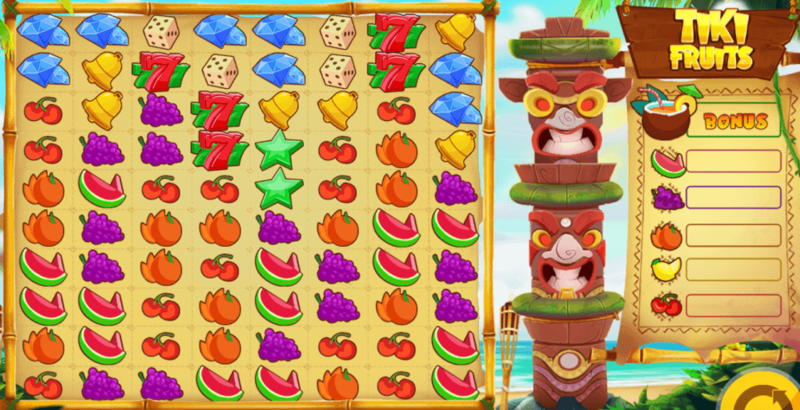 Set on a gorgeous beach with beautiful sands and clear blue water, this game has a wonderful theme that’s a lot less stressful than some other slots we’ve reviewed like House of Doom slot. The first thing you’ll notice here is the unusual layout with a whopping 8 reels but I’ll come onto that shortly. Winning Clusters. This is a feature you’ve probably seen before and one I really like. To be part of a cluster pay, a symbol must land horizontally or vertically adjacent to a matching symbol. You need a minimum of 5 matching symbols in a cluster to award a win. The more symbols in a cluster, the higher the win as per the paytable which can be found in the game settings. A winning cluster will disappear to let the symbols above fall into place and give you a chance of getting another cluster win during the same spin if that particular set of symbols fills the bar on the right-hand side of the screen. Totem Activator. This is a simple bonus that can be triggered at any point, where the carved faces of the totem on the right of the reels activate to remove symbols from the reels allowing new ones to all in place and potentially grant extra wins. Tiki Spins. This is triggered when you fill the Bonus Bar by landing Bonus symbols on the reels and will initiate the Tiki Spins. You will be awarded a random number of free spins, during which the Fruit Bars and Bonus Bars do not reset between spins so you have a much higher chance of getting extra free spins and bigger rewards. Tiki Spins slot is a really enjoyable game that’s a refreshing change from the very common 5×3 layout with simple bonuses and basic theme. Having so many symbols with cluster wins is really cool, and trying to fill the bar up every spin adds another level of excitement. The bonuses are pretty solid too, with the free spins feature giving you much-improved odds on filling the bars and the chain reaction of cluster pays allowing you to get extra wins. And then, of course, we have the design of the slot which is perfect for the time this slot is released with its sunny beaches and fun, Hawaiian theme. There’s very little to dislike about this slot, it even has a decent RTP of 95.13% and a maximum payout of 2,000x which isn’t bad at all! 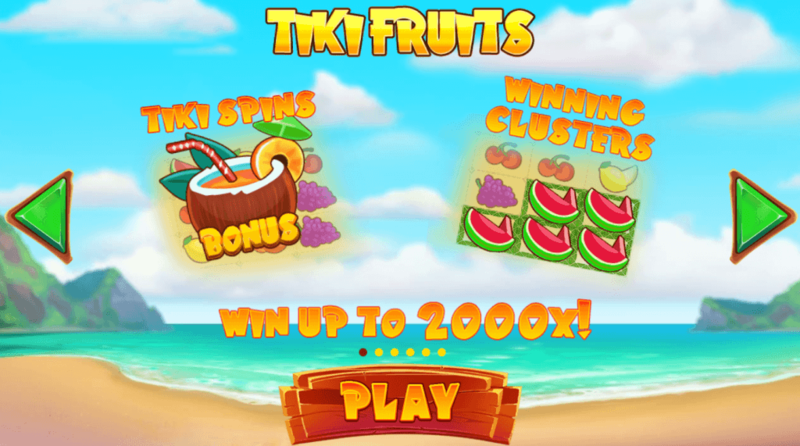 So if you’re feeling those Summer vibes, be sure to check Tiki Fruits slot out now.